Perhaps the most intriguing phenomena of the lake are the Tufa Stacks at Mono Lake that are visible along much of its shoreline. 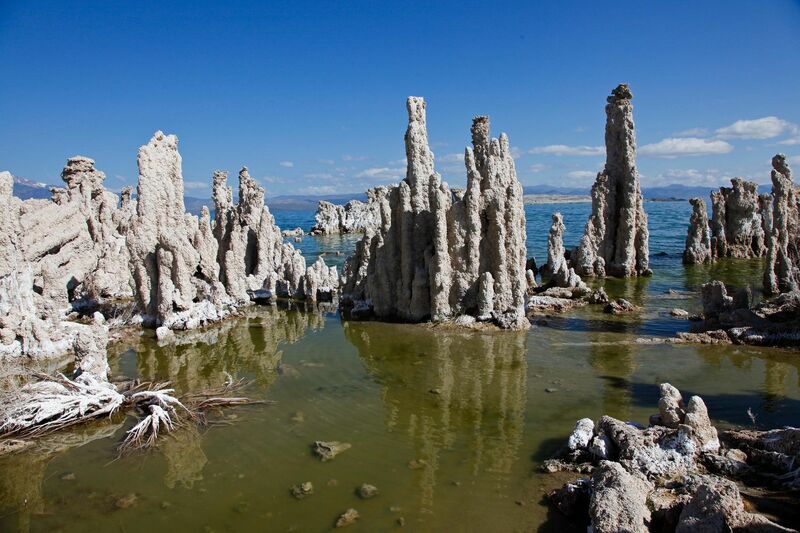 Tufa are made from calcium carbonate which makes its way into the lake from underground springs. The calcium and carbonate combine to form limestone which builds up over time around the lake bottom spring openings. Declining lake levels have exposed the tufa towers that you can see today, some of which are up to 30 feet high.